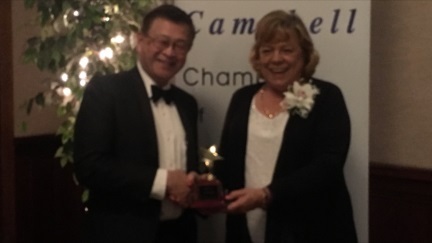 Lion President Art Low reported on Celebrate Campbell, held on March 8th at Villa Ragusa in Campbell. There were reportedly around 200 people in attendance, and 12 service clubs and organizations were represented. Lion Art took advantage of the opportunity to publicize the pancake breakfast. He also recognized Lion Secretary Jan McClure for her contributions to the club. Lion Pres. Art Low recognizes Lion Jan McClure for her years of service to the West San Jose-Campbell Lions Club. 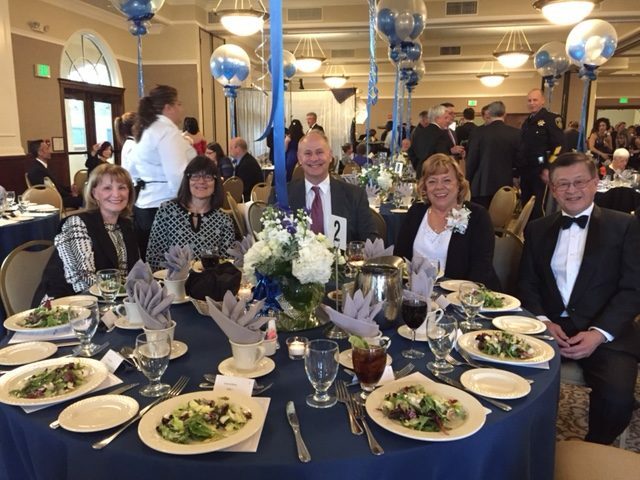 Seated at the Lions’ table (L to R) Lions Judy Blandford, Lucie Mueller, Brad Abel, Jan McClure, Art Low.